I wanted to bless you with some interesting commentary on Matthew 24 that is sure to get you asking some questions. But I must advise that you seek the Lord for His truth and allow the Holy Spirit to guide you. In this commentary Bro. Ron Graham discusses some distinctions between the Rapture of the Church and the Second Coming of Christ to the earth. I often refer to these events as the two phases of the Second Advent. Just as in the First Advent there were at least thirty three years of Christ's earthly existence, so the Second Advent lasts for a period of at least one thousand and seven years, if you include the Millennial Reign of Christ on Earth with the saints. It begins with the Rapture and also includes the seventieth week of Daniel found in Daniel. 9-24-27, specifically vs. 27. That period also referred to as "Jacob's (Israel) time of trouble," Jeremiah. 30:7. 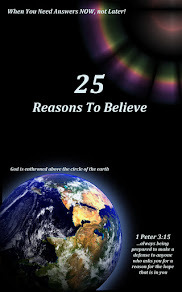 Matthew chapters 24 and 25 have nothing whatsoever to do with the Rapture of the Church. Have I got your attention? Good. Now let’s proceed. Jesus’ Second Advent and the Rapture of the Church are two completely different events. Believe it or not, many Christians lump them together. It’s important to understand the difference between the two so as not to be confused. “But thou, O Daniel, shut up the words, and seal the book, even to the time of the end: many shall run to and fro, and knowledge shall be increased.” Daniel 12:4. Daniel is told to seal the book until the end. What book? Knowledge will be increased, knowledge of what? God’s Word. We can go back in time and study many of the great expositors of God’s Word, men respected throughout the ages, and as we do we can find that in some instances they’ve erred in their interpretations. Why? Because the knowledge they needed to fully grasp God’s word was sealed up until the last days. Now, God is unsealing the book for those who will diligently seek His truth. Hold on to your seats, you might find this commentary to be a bumpy ride. The Rapture will occur just prior to the 70th week (seven year period) prophesied by Daniel. At the end of those seven years Jesus Christ, with all His Raptured saints, will return to put an end to the war of Armageddon. Placing the Rapture of the Church in the same time frame as the Second Coming of Jesus Christ is erroneous biblical teaching. The Rapture was a mystery until Paul began to explain it in his letters. “Behold, I shew you a mystery; We shall not all sleep, but we shall all be changed, In a moment, in the twinkling of an eye,” I Corinthians 15:51-52a. Paul’s teachings make it clear what will transpire at the Rapture of Christ’s Church. What we don’t know is when that awesome event will occur. 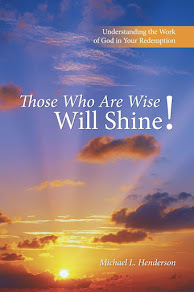 But we have a great clue given to us by Paul in the book of Romans “For I would not, brethren, that ye should be ignorant of this mystery, lest ye should be wise in your own conceits; that blindness in part is happened to Israel, until the fulness of the Gentiles be come in.” Romans 11:25. The mystery Paul alludes to in this instance is the mystery of the Church. Fullness refers to an amount of something, in this case it’s a God ordained specific number of born again believers in Christ that must be accomplished before the Church disappears. When that number is reached the Church will, in the twinkling of an eye, be removed from planet earth. There is nothing other than that specific number standing in the way of Christ removing His Church. Something to keep in mind is it could happen with the very next person you witness to. Much of the confusion regarding the Rapture vs. the Lords Second Advent is centered in Matthew chapter 24 with the following verse “But of that day and hour knoweth no man, no, not the angels of heaven, but my Father only.” Matthew 24:36. Jesus, speaking to His disciples, lays out how things will occur during the seven years prior to His return. Verse 36 has nothing to do with the Rapture of the Church, but everything to do with Christ’s Second Advent when He returns with His saints. In perfect view in chapter 24 of Matthew is the nation of Israel. This is the time when God concentrates His attention exclusively on His chosen people. The Church is not mentioned even once in this chapter. Jesus is speaking to the Jews of His day about the Jews of the last days remaining on earth just prior to His Second Advent (This generation shall not pass, till all these things be fulfilled.” Matthew 24:34). The Church is still a mystery at this point in Jesus’ chronology of the last seven year period; why then speak of the Rapture of His Church to His disciples, if the mystery of His Church was still hidden? Now let’s stop here and back up to the third verse in Matthew chapter 24. “And as he sat upon the mount of Olives, the disciples came unto him privately, saying, Tell us, when shall these things be? and what shall be the sign of thy coming, and of the end of the world?” Matthew 24:3. Four of Jesus’ closest disciples (see Mark 13) came to Him with three enquiries. First they wanted to know when these things would take place. What things? “…and his disciples came to him for to shew him the buildings of the temple. And Jesus said unto them, See ye not all these things? verily I say unto you, There shall not be left here one stone upon another, that shall not be thrown down.” Matthew 24:1b-2. The buildings of the Temple would be completely destroyed and all the stones of those structures thrown down. This occurred in 70AD when Titus, the Roman general, took siege of Jerusalem and killed every Jew that remained. The second and third questions posed by these four disciples are “and what shall be the sign of thy coming, and the end of the world?” Jesus goes into great detail as we read the rest of this chapter to answer their questions. We’ll touch on a few of those verses as I attempt to explain the circumstances surrounding them. I’m going to veer off subject just a bit here as we read verse 13, notice that Jesus makes a very interesting, and what some might see as contradictive, statement. “But he that shall endure unto the end, the same shall be saved.” Matthew 24:13. Wait just a minute. As much as I’ve studied the Bible I can’t find anywhere in scripture where Jesus tells us, concerning His free gift of salvation, that we must endure (persevere) to the end to be saved. No, all that is necessary for salvation to be imparted to us is to believe. We place our faith, our trust, and our hope in Jesus Christ as our Savior and Lord and Him alone as the propitiation for our sins. Can you see that something is amiss here? Jesus can’t be referring to His Church saying we must endure to be saved. Justification (salvation) is instantaneous when we first believe, there’s no enduring ‘til the end attached to our justification. “He that believeth on the Son hath everlasting life” John 3:36. These are Jesus’ own words; why would He purposely contradict Himself by saying we had to endure ‘til the end to be saved? Answer – He wouldn’t. So, there must be another explanation. As I’ve mentioned, Jesus is addressing His disciples, and was teaching them the chronology of events that would occur during the last seven year period culminating in the battle of Armageddon. These events would precipitate His Second Advent. He speaks about things the Church can certainly see approaching as we occupy these last days. Back in Matthew 16, where Jesus is speaking to the Pharisees and Sadducees, He explains to them that they should have been able to read the signs of His first coming “He answered and said unto them, When it is evening, ye say, It will be fair weather: for the sky is red. And in the morning, It will be foul weather today: for the sky is red and lowring. O ye hypocrites, ye can discern the face of the sky; but can ye not discern the signs of the times?” Matthew 16:2-3. We are born again believers in Christ; certainly we can discern the signs of the times. Today birth pangs are increasing and they indicate that we are very close to the end. But we are not in the prophesied 70th week of Daniel yet, which will produce the many signs Jesus speaks about. Matthew chapter 24 must be read in context. It is talking about Israel, not the Church. It is Israel that will endure those final seven years prophesied by Daniel. This includes, of course, the Great Tribulation of the last 3½ years of that period in which God pours out His wrath on a Christ rejecting world. Christ rejecters, not Christ accepters. Jesus speaks about the Gospel being preached in “all the world”. We see that this phenomenon occurs in the book of Revelation “And I saw another angel fly in the midst of heaven, having the everlasting gospel to preach unto them that dwell on the earth, and to every nation, and kindred, and tongue, and people, Saying with a loud voice, Fear God, and give glory to him; for the hour of his judgment is come: and worship him that made heaven, and earth, and the sea, and the fountains of waters.” Revelation 14:6-7. At this point in earth’s history the Church has been missing from planet earth for quite some time. “When ye therefore shall see the abomination of desolation, spoken of by Daniel the prophet, stand in the holy place” Matthew 24:15. Jesus then speaks of the abomination of desolation which can only occur after the Temple is rebuilt, which won’t occur before the Church is Raptured. Those who are in Judaea must flee into the mountains, clearly a reference to Jews. Jesus tells them to pray that their flight be not on the Sabbath day, again a clear reference to Jews because they observe the Sabbath, which was specifically established for them. “For then shall be great tribulation, such as was not since the beginning of the world to this time, no, nor ever shall be. And except those days should be shortened, there should no flesh be saved: but for the elect's sake those days shall be shortened.” Matthew 24:21-22. These two verses clearly point to a huge amount of destruction coming on the world. If God doesn’t put an end to it when He does, no flesh would be saved. By the way, the “elect” are those individuals who’ve become born again during the Great Tribulation. In verses 25 and 26 Jesus begins to reiterate His warning about all the false Christ’s that will show up claiming they are the Christ. He tells them to look for Him as one who comes like lightning from the east and His light will shine all the way to the west. Then Jesus continues His chronology of events describing just how things will unfold for those who remain alive during the Great Tribulation. “And then shall appear the sign of the Son of man in heaven: and then shall all the tribes of the earth mourn, and they shall see the Son of man coming in the clouds of heaven with power and great glory.” Matthew 24:30. 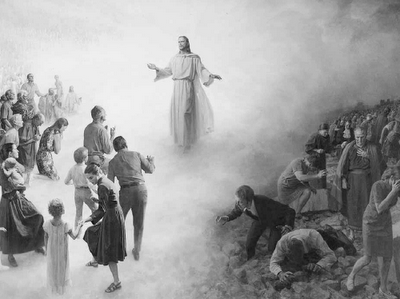 Everyone remaining alive on earth will see Jesus coming, that’s not the Rapture of His Church, since we’re told the Church will meet Him in the air, Jesus doesn’t set foot on earth again until He returns with His saints. 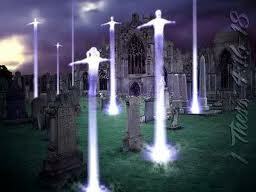 The Rapture event will take place in what the scientists confirm is the smallest measurement of time known to mankind. No one left on earth will observe its occurrence. All they will know is a lot of folks have gone missing. The survivors of the last seven year period just prior to Jesus’ return must discern the signs indicated by Jesus in Matthew 24. They should be fully aware of the Pharisees and Sadducees lack of discerning abilities and not follow in their footsteps. Jesus gets His point across this time as He uses the parable of the fig tree. “Now learn a parable of the fig tree; When his branch is yet tender, and putteth forth leaves, ye know that summer is nigh: So likewise ye, when ye shall see all these things, know that it is near, even at the doors.” Matthew 24:32-33. At this point in Jesus’ chronology tour, it’s just about time for His Second Advent when He returns to earth to take over as her perfect King. “Verily I say unto you, This generation shall not pass, till all these things be fulfilled. Heaven and earth shall pass away, but my words shall not pass away. But of that day and hour knoweth no man, no, not the angels of heaven, but my Father only.” Matthew 24:34-36. After all we’ve just discovered how can these three verses refer to the Church? They don’t. The generation Jesus is referring to is the last generation of Jews on planet earth. Heaven and earth passing away and His words not passing away means that everything Jesus teaches in this chronology will come to pass without fail. Now here’s the part that so many misunderstand about the Rapture of the Church. Jesus tells the four disciples, who began all this with those three little questions, that of the time of His Second Advent no man, no angel (and in Mark chapter 13 not even the Son) knows the day and the hour of His return to earth. There are a few other scriptures that sound similar to this verse in Matthew 24 (no one knows the day or the hour). But they are all addressing the Jews who will occupy earth’s last seven year period. “But as the days of Noe were, so shall also the coming of the Son of man be. For as in the days that were before the flood they were eating and drinking, marrying and giving in marriage, until the day that Noe entered into the ark, And knew not until the flood came, and took them all away; so shall also the coming of the Son of man be.” Matthew 24:37-39. These verses can be confusing if you’re still determined to place the Church in Jesus’ chronology tour. It will be a very devastating period, how can there be anyone who hasn’t noticed the carnage and catastrophic occurrences of God’s wrath? Who would be involved in pursuing any form of pleasure at a time like that? What has happened is Jesus has returned to the beginning part of the 70th week of Daniel to explain that not many will notice anything different going on. The Church is, in the twinkling of an eye, missing. This means millions, possibly even billions, of earth’s inhabitants have disappeared and yet those remaining simply return to business as usual. The word that must be inserted here is delusional. “And for this cause God shall send them strong delusion, that they should believe a lie” 2 Thessalonians 2:11. “Two women shall be grinding at the mill; the one shall be taken, and the other left. Watch therefore: for ye know not what hour your Lord doth come.” Matthew 24:40-41. These two verses point to the end and Jesus is using an analogy here that everyone should be familiar with. Not everyone will remain on earth when Jesus returns to set up His millennial Kingdom. Those who became saved and lived through this period of God’s wrath will go into His 1,000 year reign; those who remained alive and in their rebellion to Christ during that horrible period of time will be separated into outer darkness. These two verses have nothing to do with the Rapture of the Church. In the next few verses Jesus takes us into the realm of the possibility of losing one’s salvation. Again, the Church cannot be seen here. We now see that there will be faithful servants and unfaithful servants during these last few years. Jesus continues, “Who then is a faithful and wise servant, whom his lord hath made ruler over his household, to give them meat in due season? Blessed is that servant, whom his lord when he cometh shall find so doing. Verily I say unto you, That he shall make him ruler over all his goods.” Matthew 24:45-47. Some servants will faithfully occupy until He returns. But then there are the other servants who become unfaithful. “ But and if that evil servant shall say in his heart, My lord delayeth his coming; And shall begin to smite his fellowservants, and to eat and drink with the drunken; The lord of that servant shall come in a day when he looketh not for him, and in an hour that he is not aware of, And shall cut him asunder, and appoint [him] his portion with the hypocrites: there shall be weeping and gnashing of teeth.” Matthew 24:48-51. Putting the finishing touches on this chronology, Jesus inserts a most perfect explanation of what happens to those who grow tired of waiting for His appearing and begin to revert to all sorts of evil. It’s important to understand the quandary these folks who become born again remain in. They must keep themselves saved. In other words, they will not be indwelt with the Holy Spirit of promise as the saints are today. Today the Church is kept saved by God; this is a promise from God to His Church. But to the tribulation saints He makes no such promise. It will be quite possible to fall away and become unsaved during earth’s last seven year period. 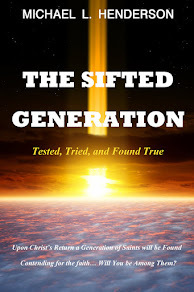 Jews and Gentiles alike will be left on planet earth after the Rapture of Christ’s church. Many people will become believers and many will be martyred for their faith. A better solution is to place your faith in Christ today before He removes His Church from among the Christ rejecters. Today the Church is still here and until the Rapture occurs we must continue with Christ’s great commission and spread the good news to as many as possible, letting them know the lateness of the hour.